Hole #13 is a difficult, 402-yard Par 4. It requires a long drive to a small valley in order for you to have a chance of getting on the green with your second shot. 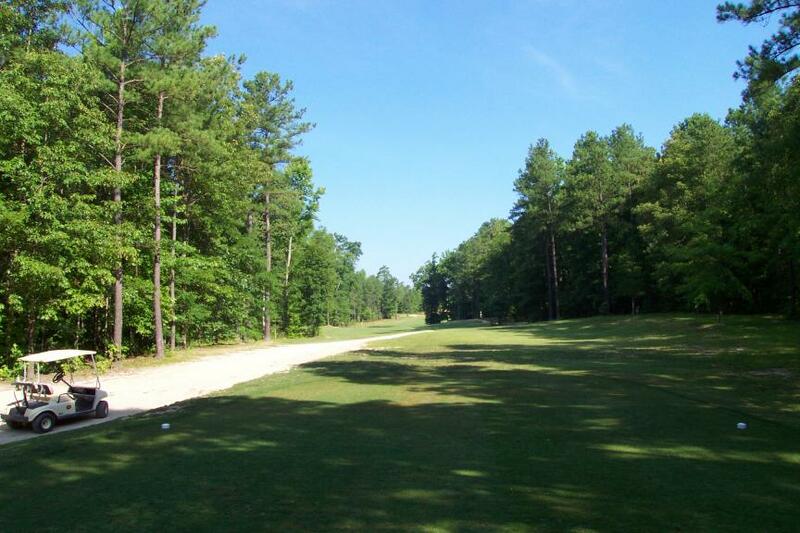 Dense woods line both sides of the fairway. If you dont make it to the valley, you will have a very difficult time shooting par on this hole. 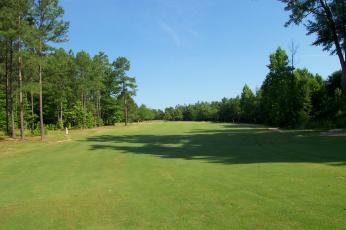 If your tee shot made it to the valley, you will still need to make a difficult, up-hill shot to the green. Your approach will also be tested by the sand trap located on the right side of the green.